Welcome to Booster's Bits with Booster Gold! I'm Booster Gold! You may remember me from helping rescue you from the hypno-pollen traps by Queen Zazzala in the Hive duo. But today, I am here to help you with all kinds of BITS from the wonderful universe of DC Universe Online. BOOSTER'S BITS. Just click on one of the menu items up above to begin your exploration adventures. And, don't forget, to pop open a crisp, refreshing Soder Cola. Soder Cola, the only cola that Booster Gold drinks while helping out newbies and veterans alike in DCUO. Be our Valentine this year, and look for Love Will Find A Way in your Mission Journal. From this mission, players will be granted completion of the 2011 Valentines Day feats, and receive two gifts: a Box of Valentines Gifts and a Box of Valentines Candy! These gift boxes will reward styles and treats from the original Valentines Event. During this time, players will also be able to collect the Valentines Day themed collections to complete the rest of the Valentines seasonal styles. Also, new in the Vault, are two very special Valentines Base items for a limited time! Try now to get your very own Valentines Heart Bed, or Valentines Heart Tub! These Vault items will be available throughout the month of February. Fixed an issue that would cause player set Base colors to load improperly. Deleted characters and disbanded Leagues can now be removed from Mainframe Permissions. Deleted characters will now appear as Unknown Character in the Permissions UI. Disbanded Leagues will now appear as Unknown League in the Permissions UI. The Looking for Group and Trade chat channels are now global with the exception of the Tutorial area. Players will have access to these channels even while inside a private instance! Both the Looking for Group and Trade channels will remain separated for Heroes and Villains. Legendary players have a limit of one message per 30 seconds. Premium players have a limit of one message per 60 seconds. Free players have a limit of one message per 90 seconds. The Unattuned Maniacal gear will now properly attune when in Tank Role. Weekly Award boxes, Weekly Alert Reward boxes and Monthly Raid Award boxes now have a chance to contain Base items. The rings dropped by Home Turf solo challenge bosses no longer contain an unused ring socket. Fixed an issue with splitting groups of crafted Exobytes. The Wedding Vow collection is now properly listed in the Events category in the Collections UI. In celebration of the launch of Home Turf, we will be increasing your chances of getting Base loot this weekend. We will improve the odds that you will gain Base items when collecting just about any type of loot in the game, starting Saturday February 2. The event is scheduled to run through Monday, February 4. Hand of Fate Operations have temporarily had their introductory cut-scene sequences removed. The LFG chat channel now respects ignored players. Increased round times to 5 minutes. Steel should now be dropping loot when knocked out in the Steelworks instance. Mechanical Mech: The robot form terminal should more reliably alter players. Solitary Riot: The iconic prisoners will now move past the red wall and try to escape properly. A client hotfix will be deployed shortly. No downtime will be required. Players will need to log out of the game and back in if they wish to download the update. The Recent Text list can be found in the Social Menu by pressing Left on the D-Pad or F4. When you receive a message from a player using the chat channels Say, Shout, Group, League, Trade, Language, LFG, or Tell, the senders name is put into to the Recent Text list. This list is ordered by the most recent messages received. You can use this list to access players quickly to do things like Tell, "Invite to Group", "Add Friend", or "Phase with". Fixed an issue that caused players to be unable to rally or flee after being knocked out. Base items can now be previewed in the Base Item Inventory window. Home Turf: Strykers Island: Solitary Riot: Improved messaging for the protective fields to more clearly reflect what they protect against. Improved and resolved several server stability issues. Lair Battles: Increased round times to 5 minutes. Stryker's Island: Mechanical Mech: The robot form terminal should more reliably alter players. Reduced the Base relocation cool down time from seven days to one hour. The Ace Chemicals and Strykers Island safe areas will no longer reset intermittently. Home Turf: Corrections Officers Report: Moved an Investigation node to make it easier for all players to find. The Sub Bosses from Gates of Themyscira now have a chance to drop Base Items. Arena Champion's Prize Boxes and Legends Champion's Prize Boxes now have a chance to reward Base Items when opened. The Escaped Inmate and Biohazard items in Ace Chemicals and Arkham Asylum can now be salvaged for their components at Research and Development stations. Fixed an issue that would sometimes prevent a player from being able to target a PvP opponent in their Lair. Addressed an issue that would cause some players to begin the match before their opponent. The introductory Base missions will now reflect the proper level in the Mission Journal. Bounties: You can no longer heal bounty NPC's of your own faction while players of the opposing faction are trying to take them down. Warehouse of the Dead: All gates have been opened and now allow players to access the warehouse. Bounty: Ace Chemicals Experiment: Comic Gold will no longer have the last laugh when he grounds his opponents and one-shot-kills them at the same time. Bounty: Ace Chemical Experiment: The contribution requirements have been adjusted to help ensure that all players participating in the fight will get credit for defeating the Bounty. Infiltrating Ace: Fixed issue where Steel could potentially get stuck by his 3 escorted Prototype robots because they were trying to remain too close to him. Weird Science: Increased the amount of Chemoids and Chemlings that spawn for the Mission. Various final bosses should be easier to control and battle solo. Fixed a potential issue with the Ace Chemicals instance where T.O. Morrow never sends his final wave of enemies, making it so the teleporter you need to escape from never finishes powering up, thus preventing exiting. Suit Up: If you need to replace your cryogenic suit, there is now a waypoint back to where Mister Freeze's goons are hanging out. Deliberate Acts of Violence: If you need a new disguise or if you wish to change your disguise, there is now a hint about that and a waypoint back to the disguise imprinters. Breaking Steel: Steel no longer flies inside walls if players go out of combat during this fight. Death From Above: Improved the Mission messaging to more accurately guide players to the location of the Drone Custodian. Bounty: Strykers Island Critical Defender: Stryker's Island's Critical Defenders will now call in shield drones less often. Bounty: Strykers Island Critical Defender: The contribution requirements have been adjusted to help ensure that all players participating in the fight will get credit for defeating the Bounty. Habeus Corpus: The Senior Officer held hostage by Gorilla Grodds mind control devices will now flee after being freed. Mechanical Mech: The black box has doubled its available time and the Nuclear Winter Leader has become weakened by his radiation sickness. Solitary Riot: Players will no longer be attacked before entering the final room. Solitary Riot: Prisoners should now exit their cells more reliably. Swarm: This ability should now properly damage enemies when active. Gorilla Form: If your normal movement mode is Acrobatics, the Tumbling Master tactical mod should world while in Gorilla Form. Insectoid Form: If your normal movement mode is Flight, the Swoop Combos tactical mod should world while in Insectoid Form. Primal Wolf Form: If your normal movement mode is Superspeed, the Dashing Combos tactical mod should world while in Primal Wolf Form. Ace Chemicals: Players can now participate in the races around Ace Chemicals without drawing the attention of surrounding enemy NPCs. Suicide Slums: Players can now participate in the races around Steelworks area without drawing the attention of surrounding enemy NPCs. Server Downtime 01.29.13 - Home Turf! All servers will be offline Tuesday, 01.29.13, beginning at 7:00 AM PST to launch Home Turf! Downtime is expected to last about 4 hours. Click here to convert to your timezone. Home Turf DLC Pack Now Available! Legendary members and owners of Home Turf receive two Lair Themes: Gothic and Deco, and a Theme for a smaller, limited Dive Hideout available in the Dispenser. Look for Home is Where Your Base Is in your Mission Journal. Complete the mission to receive one Deed which can be used for placing a base at an in-game address of your choice. The mission is granted at level 12 or higher. Players are able to customize their Base in many different ways using the Base Decoration Mode. Accessed via the Control Panel located near the entrance of your base, Decoration Mode is the place for arranging items throughout the Base, customizing the colors of certain areas of the Base, selecting the players Emblem to be displayed on a wall plaque, and renaming the Base. Players can customize their Base(s) by adding items found throughout DC Universe Online. Each Base comes equipped with a Mainframe and a Dispenser that can be accessed inside your base. Players can unlock and gain access to Upgrades and temporary Boosts by activating the Mainframes Generator power cells. Players can also set Permissions through their Mainframe to allow friends and League mates to enter and help decorate their Base. Players can access Upgrades and temporary Boosts from their Mainframe. These Upgrades and Boosts can be added to your Utility Belt and ability bar to call in Orbital Strikes, Supply Drops, Sidekicks or Back-Up (Heroes) and Accomplices or Henchmen (Villains). New Feats, Collections, Investigations, and Briefs added! Four new gear styles and two new weapon sets inspired by Home Turf added! All Hand of Fate Operation Boss fights have moved to their own separate instance. The Operation content will remain the same and players will be moved to a separate instance for the final boss fight. Players can now access the new Looking for Group chat channel! This channel allows players who are looking for a group to communicate with one another while in different areas throughout DC Universe Online. The LFG channel groups players into one of four chat channel groups depending on where you are in the world; Safehouses and HQs, Metropolis, Gotham, and Central City. The Safehouses and HQs grouping includes The Watchtower, Hall of Doom, Police Stations, Nightclubs, and player Bases. The Looking for Group channel works in any public zone but not in private instances. The Looking for Group channel is cross phase but same faction. Typing /lfg before any chat communication will move the communication to a Looking for Group channel and distribute the message to everyone in that zone. With the launch of the new Home Turf DLC, Legendary members and owners of this DLCcan purchase additional Deeds and Lair Themes from the Marketplace! You can change the look of your existing Base with one of these Lair Themes, purchase up to three additional Deeds, to have more than one Base! The appearance of your Hardware and Amenities will update to match your new Lair theme. Themes also allow access to matching Back-Up/Henchmen! Your character must be at least level 12 and have completed the introductory Base mission to purchase additional Deeds and Lairs from the Marketplace. Free to Play and Premium members receive a limited Dive Hideout theme that includes limited amenities and limited features as part of the DLC Home Turf release. Look for Hiding Out in your Mission Journal and complete the mission to receive one Deed which can be used for placing a Hideout base at an in-game address of your choice. The mission is granted at level 12 or higher. Each Base comes equipped with a Mainframe and a Dispenser that can be accessed inside your base. Permissions can be set through the Mainframe to allow friends and League mates to enter and help decorate their Base. Players are able to customize their Base in many different ways using the Base Decoration Mode. Accessed via the Control Panel located near the entrance of your Base, Decoration Mode is the place for arranging items throughout the Base, customizing the colors of certain areas of the base, selecting the players Emblem to be displayed on a wall plaque, and renaming the Base. Players can also customize their Base(s) by adding items found throughout DC Universe Online. Free to Play and Premium Members can access all of the Player Base features by purchasing Home Turf or by becoming a Legendary member. Marks of Triumph awarded from Daily Dungeon bonus are now sent to the players inventory overflow when the players inventory is full. When the server determines a player is stuck and automatically warped, this does not affect your warp timers in the Map UI. Custom Chat channels should now persist after switching characters. The 2 Year Anniversary Cake trinket icon has changed to better represent the item. Fixed an issue where having a socketed item in your inventory and purchasing the same exact item from a vendor would prevent the new item from being socketed. Minor text updates to player base item drops. Catwomans Claw should now function properly and no longer cause the player to become unresponsive and unable to attack or target. New PvP Mark Conversion items have been added to the Mark Conversion vendors in the Watchtower and Hall of Doom. Heavy Shurikens damage should no longer be blocked by friendly targets. Green Lantern Alan Scott has declared he will no longer be brushed aside without a fight and will knock any flying Villain aggressors out of the air that attempt to dodge his attacks. Green Lantern Alan Scott's willpower has been restored and his constructs are more deadly. Clinical Strike: Old air scrubbers are now replaced with new air scrubbers to ensure everyone gets their fair share. Queen of Lies: Hero: Aquaman's confusion while under Circe's spell should no longer keep you from advancing when defeating him. Fixed an issue where encasements could break before the transport timer was finished. Players now move faster when transporting encased enemies. Wayward Souls: Avenging Spirit Guidicus has agreed to fill his pockets with loot before joining the battle...it is now likely something will fall out if he is defeated. With a Vengeance: Doctor Fate has been reprimanded for his idea of a practical joke; trapping players in an infinite loop between the Watchtower and his Sanctuary. He has agreed to allow you to continue through the rest of the operation. Map: Sections of the map should no longer disappear when using the + and  buttons on the Map UI. The Metropolis Master Flier - Villain feat now has the correct description for the Little Bohemia Adept Flight Challenge in the Feats UI. Hand of Fate Operations have temporarily had their introductory cutscene sequences removed. This was to address a client crash/freeze that would occasionally happen during the movie. Once the crash fix has been finalized and approved, we will restore these sequences. You will now walk into the room and find Dr Fate standing there waiting for you to talk to him. Talking to him will kick off the encounter. Deleted friend characters no longer show up in your friends list as blank spaces. Gold Collections: A cleanup crew on Arkham Island has removed Home Turf gold collections from Arkham Island. The Riddler and the Question have corrected a glitch with their email server that was preventing their reward email for the "Arkham's Personal Collection" gold collection from being sent. Poison Ivy has vowed to let you attack her should you make a second attempt to defeat her. The 2 year Anniversary party is back on until February 11, 2013. Any characters that have not yet claimed their gifts should be able to until the final day of the celebration. Each Anniversary Present will contain one of three cake trinkets and one of three fireworks trinkets, as well as a chance to get select marketplace items which include 1 or 5 R&D Scanners, 1 or 5 Radar Enhancers, or a Vault Ticket. A client hotfix will be deployed today around 1:00 p.m. PST. No downtime will be required. Players will download the new client the next time they log in. Server Downtime 01.16.13 - Game Update 22! All servers will be offline Wednesday, 01.16.13, beginning at 6:00 AM PST to launch Game Update 22! Downtime is expected to last about 6 hours. Click here to convert to your timezone. The Ace Chemicals referee will no longer become confused and grant control of a capture point to both teams. Staff: Corrected the combo description for Launching Roundhouse to match the number of attacks needed to perform it. Fixed a bug related to combat timing that will ensure attacks and abilities last the appropriate amount of time. Noticeably affected examples include Sticky Bomb and some Staff attacks. We have made significant changes to the end game cash drops. This includes all Tier 1 through Tier 4 trash mob and boss cash drops, Grey item sale values, End-Game Daily Mission rewards, and Vault cash drops. Many end game cash values have increased, which include Daily Task rewards, Boss cash drops, and poor quality item (Grey) loot sale values. Old Gotham Subway: The Penguin now chatters in his own voice. Players will automatically warp to the nearest rally point if the server detects the player is stuck and cant move out of the object. NPC Voice Over and Communicator messages should now interact with each other and behave. Player Base items start dropping in game in preparation for DLC Home Turf. Roaming robot R.E.E.S.E. used to patrol the Monitor Womb in the Watchtower and interact with nothing in front of him, now he will now only type when in front of a console. Lantern Veteran NPCs ranged projectile attack should how only hit once, as intended. Gadgets: Stasis Field's damage over time will no longer stack while in control role. Ice: Hibernation's ice encasement visual effects will now play properly. Fire: Snuff Out is now a faster activating two-stage channeled ability that delivers a portion of its damage up front and the remainder when the channel completes similar to Final Ruin and Impaling Thorns. The damage has been reduced to account for the faster activation time. Ice: Impaling Ice is now a faster activating two-stage channeled ability that delivers a portion of its damage up front and the remainder when the channel completes similar to Final Ruin and Impaling Thorns. The damage has been reduced to account for the faster activation time. Hand of Fate Wayward Souls Operation: Fixed an attack by Solomon Grundy that was showing incorrectly as an ability. Zombie Benefits: The Obelisks located around the near Gotham University will now display correctly in the combat log. Floating tooltips are now docked over the players avatar when using mouse and keyboard. Items in the Currency tab can now be selected using a gamepad. Inventory: Stack counts now get properly removed when swapping slots. Performing Sweep Shot on a Nature or Ice character will now play the correct visual effects. Watchtower Containment Facility: The Security Enforcers visual effects should now appear correctly on his body. Adjusted the animation length of a number of weapon attacks to align weapon DPS potential when clipping with a tray ability. Generally clipping a weapon attack further into a combo will more consistently provide better DPS than clipping a weapon attack near the beginning of a combo. These changes do not affect non-clipped weapon DPS unless otherwise noted. Ground Pound: This attack now completes more quickly decreasing its clipped DPS potential. Elbow Drop: This attack now completes more quickly decreasing its DPS potential when clipped. Spinning Punch: This attack now takes longer to complete increasing its clipped DPS potential. Smoke Bomb: This attack now takes longer to complete increasing its clipped DPS potential. Spin Chop: This attack now completes more quickly decreasing its clipped DPS potential. Big Scoop: This attack now takes longer to complete increasing its clipped DPS potential. It now also hits multiple targets in a cone rather than a single target. Home Run: This attack now takes longer to complete increasing its clipped DPS potential. In addition the base DPS of this attack was increased improving its damage in all cases. Doom Spin: This attack now begins splitting damage when it hits more than two targets instead of more than one target. A client hotfix will be deployed today around 3:30 p.m. PST. No downtime will be required. Players will download the new client the next time they log in. DC Universe Online celebrates its 2 year anniversary on January 11, 2013. As part of this celebration, we will be giving players an Anniversary Present tomorrow that will contain 1 of 3 cake trinkets and 1 of 3 fireworks trinkets, as well as a chance to get select Marketplace items, which include 1 or 5 R&D Scanners, 1 or 5 Radar Enhancers, or a Vault Ticket. Uncover the Truth: This feat will now update for everyone when completing the Gotham Scraps and Court Orders Collections. Players prior to this change will receive the appropriate feat updates upon login. Larfleeze stole the Holiday decorations but forgot to take the Holiday music which can still be heard echoing through the streets of Metropolis and Gotham City. With no more holiday gifts to steal Larfleeze left, vowing to return again later this year. The joker and his goons have all agreed to quit playing a disappearing act when they realize they no longer have the upper hand. Larfleeze has agreed to give you credit for locating him quicker than your previous spotting. Loyalty Reward! 25th Century Communicator! As a thank you to our most loyal members, we are proud to present the 25th Century Communicator. Using the communicator will grant a 5% Health buff for 30 seconds and summon Servo. Servo is a security robot from the future that will chat with you about various topics, such as your "old" 21st century customs, while watching your back (and attacking your enemies). Log in now to claim your reward! I am a PC player. How do I claim my reward and who is eligible? PC players, to receive the 25th Century Communicator loyalty reward, you must have an active DC Universe Online Legendary Membership as of December 10, 2012. The reward will be available on your account on or before December 18, 2012, and can be claimed in the Redeem/Claim window in the in-game marketplace. The item is available one per character and is not tradeable. I am a PS3 player from North America. How do I claim my reward and who is eligible? PlayStation®3 players in North America, to receive the 25th Century Communicator loyalty reward, you must have an active DC Universe Online Legendary Membership as of December 5, 2012. The reward will be available on your account on or before December 18, 2012, and can be claimed in the Redeem/Claim window in the in-game marketplace. The item is available one per character and is not tradeable. I am a PS3 player from Europe. How do I claim my reward and who is eligible? PlayStation®3 players in Europe, to receive the 25th Century Communicator loyalty reward, you must have an active DC Universe Online Legendary Membership as of December 5, 2012. The reward will be available on your account on or before December 18, 2012, and can be claimed in the Redeem/Claim window in the in-game marketplace. The item is available one per character and is not tradeable. Welcome Back to DC Universe Online! There's a lot going on in DC Universe Online, and there's a lot you may have missed. This year saw the release of three DLC Packs - The Battle for Earth, The Last Laugh, and Hand of Fate - and 14 Game Updates, our next DLC Pack Home Turf is due early in 2013, and the winter seasonal event, Season's Greedings, is currently ongoing! To make the holidays even more exciting, we're offering 30 days of free Legendary Access to all former subscribers. This makes right now perhaps the best possible time to get back into DCUO. We're looking forward to seeing you back in Gotham City and Metropolis! For DC Universe Online PC Players, this offer, and the period of free Legendary Membership (subscription) described in this offer, expires on January 16, 2013 at 11:59pm PST. This offer is available to former Legendary Members (subscribers) that were active and paid for at least one billing cycle between January 11, 2011 and December 10, 2012, and is not available for current DC Universe Online Members or SOE All Access accounts. If you purchase a new Membership package and enter billing information before January 16, 2013 at 11:59 PM PST your new Membership time will begin once your free 30-day period ends. For DC Universe Online PlayStation®3 customers in North America this offer, and the period of free Legendary Membership (subscription) described in this offer, expires on January 16, 2013. This offer is available to former Legendary Members (subscribers) that were active and paid for at least one billing cycle between January 11, 2011 and December 5, 2012, and is not available for current DC Universe Online Members. Purchasing a new Membership package and entering billing information before January 16, 2013 will terminate the free Legendary Membership service and you will lose the balance of any unused free Membership time. For DC Universe Online PlayStation®3 customers in Europe this offer, and the period of free Legendary Membership (subscription) described in this offer, expires on January 16, 2013. This offer is available to former Legendary Members (subscribers) that were active and paid for at least one billing cycle between January 11, 2011 and December 5, 2012, and is not available for current DC Universe Online Members. Purchasing a new Membership package and entering billing information before January 16, 2013 will terminate the free Legendary Membership service and you will lose the balance of any unused free Membership time. Ra's al Ghul's Spinning Blade Trap has gone through its yearly maintenance; the blades have been sharpened and the blades should no longer come off of their tracks. The Inner Sanctum PVP match is no longer restricted to DLC5 owners and can be played by anyone. When saving Hazmat Officers you will no longer be asked to interact with him twice. Harley Quinn will no longer lose her train of thought when attacking with her Melee Spinner attack. Faust will now attack more often when in his Soul Frenzy. The OMAC Sigma will now properly identify himself when you enter his chambers. Kiosks should now stay where you would expect them to be. Archmagent's will now stay inside the warehouse and will not retreat to the roof no matter how fearful they are of you. Toyman's Toyland area no longer requires you to move to another area before you can complete the Toyland Quest. Larfleeze has been reprimanded and has agreed to stop shutting down the playroom when his opponents appear to have the upper hand. Larfleeze is back and wants the holidays all to himself. He stole everyones holiday gifts and is attempting to send them off-world for his own selfish use. Find and recover the stolen gifts in Metropolis and Gotham City before its too late! Look for Yuletide Fear (Villains) or Winter Plunderland (Heroes) in your Mission Journal. Seasonal Collections See who made the Naughty and Nice list. New Seasonal Items and Appearances Collect Holly Leaves by completing the Seasons Greedings and Ring in the Holidays Daily Missions. Redeem Holly Leaves at Skeets Workshop found in your HQ and inside the Secret Research Facility. New Seasonal Feats  Winter is Coming so be sure to stock up on feats! Larfleezes greed extends beyond holiday gifts this year. He is taking advantage of a heated battle between the Green Lanterns and the Sinestro Corps by stealing Power Rings from fallen Lanterns and hoarding them in a Secret Research Facility. Look for Ring in the Holidays in your Mission Journal. Players must complete Yuletide Fear or Winter Plunderland and Seasons Greedings in order to receive the Ring in the Holidays Daily Mission. Stasis Field's damage over time will no longer stack while in control role. Quantum Barrage' s animation duration has been significantly reduced. You can once again add and remove names from your Friends & Ignore Lists. New Organic and Tectonic Weapon Style Packs! New Style Items Available In The Marketplace! Make the all-natural choice with these Organic weapon styles! The Organic Weapon Style Pack is recommended for the hero or villain looking to stay in tune with nature and the living world. All 11 styles will put the fear of mother earth into your enemies. For those of you looking for something a bit more earthy, we have the Tectonic Weapon Style Pack to offer. Wood and steel may be acceptable for lesser heroes and villains, but the greatest and strongest warriors require stone. Rock the compeition with these rugged Tectonic weapon styles! A treasure chest has been moved to a different location so it can be accessed by all. A client hotfix will be deployed today at 2:30 p.m. PST. No downtime will be required. Players will download the new client the next time they log in. Upgrades like DLC and additional slots like Inventory, Character, Bank, Broker, etc. can once again be purchased quickly through our One-Click-Buy feature. Avenging Spirit Guidicus now has projectiles that are less lethal. Reduced the health of the Toy Copter and Toy Blimp significantly. The Personal Dampening Field, Shadow Concoction and Provocation Agent R&D consumables will no longer remove consumable buffs. All Lightning Strikes Compartment Trinkets now share the same cooldown. Form: Snowman will now stack properly with other disguises and form changing abilities. Players are no longer gated from entry to the final boss battle by an invisible wall. Ring Compartment Trinket: The stat buff gained from the DPS version of the Ring Compartment Trinket will now be overwritten by the stat buffs gained from the Role versions of those trinkets. New Legends Characters Are Available In The Marketplace! The wait is over. The mightiest hero of the Green Lantern Corps has arrived. Use your exceptional willpower to defend what is right in Legends PvP as the Green Lantern, Hal Jordan! No evil shall escape your sight. Tired of all that good and right talk? Think might makes right? Do you really hate the color green? Sinestro brings the full power of the Sinestro Corps to Legends PvP. From now on, fear will be the ultimate weapon. Server Downtime 11.27.12 - Game Update 21! All servers will be offline Tuesday, 11.27.12, beginning at 6:00 AM PDT to launch Game Update 21! Downtime is expected to last about 5 hours. Click here to convert to your timezone. Legendary members and owners of DLC Hand of Fate will now be able to play the Inner Sanctum in Arena PvP and Legends PvP. Players no longer need to gather their own loot if they have space in their inventory. All loot, including but not limited to Exobits, Collections, Research and Development items, Mission drops, and Boss drops is now auto-magically gathered for you when it drops. If your inventory is full you will receive a message that you must clear space in your inventory to receive your loot. Poison Ivy will no longer lose the will to fight. The final encounter with Mister Freeze, Poison Ivy, and the Scarecrow will now award appropriately tiered Research and Development Plans, and Components. League of Assassins: Ra's al Ghul will now award appropriately tiered Research and Development Plans and Components. Strykers Island Penitentiary: The final encounter with Gorilla Grodd will now award appropriately tiered Research and Development Plans and Components. Old Gotham Subway: Bosses in this challenge now have a chance to drop Tier 2 Research and Development plans. Lair of the Spectre Challenge: you now receive credit for the "Lost and Found" side mission. Tier 3 Alerts now have a random daily bonus. Players who complete the daily Tier 3 Alert will receive a bonus 50 Marks of Triumph. The Booster Gold exploration terminals will no longer cause players to become stuck in an endless cinematic. The Mark of Legend x 5 box will now award the five Marks of Legend directly to the players currency, instead of awarding five individual Mark of Legend items in the inventory. Queen of Lies: The Trident of Poseidon will now ground players attempting to escape its grasp. Lair of the Spectre: While in Spectre form, ranged attacks will work properly. Headquarters Assault: The match timer will no longer count down during the opening cinematic. The Chasm: Superman and Lex Luthor should be better travel companions after defeating the Sunstone Herald. The Chasm: Kryptos Freeze Breath encasement no longer gives you hope of an early escape. Checkmate Informant: The chest piece no longer causes visual issues when equipped with certain weapon types. Kabuki Mask: This style no longer causes a visual issue when worn by female characters. Character Select: Player selected backgrounds should now persist when creating a new character or re-launching the game. Once More With Rockets: Radical Rocket Randys attacks now appear correctly in the Combat Log. Style: The Save and Reset buttons now function properly. Coming Soon! 7-Eleven Double Station Cash Weekend! Now is a great time to stock up on SOE Game Cards from your local 7-Eleven retailer. Between 11/16/12 and 11/18/12*, get Double Station Cash when you redeem an SOE Game Card for Station Cash. This promotion is exclusive to cards purchased at 7-Eleven stores in the US. But don't redeem those cards yet! Save them for the promotional period: 11/16/12 through 11/18/12*. More details to come. *Game Card must be purchased at a 7-Eleven store in the United States and redeemed for Station Cash (not membership time) during the promotional period to qualify. Offer valid only for qualifying Game Cards that are redeemed for Station Cash between 12:01 AM PST 11/16/12 and 11:59 PM PST 11/18/12. New Cerebral and Frozen Weapon Style Packs! For anyone who has ever been told you have ice water in your veins or a cold heart, a chilling demeanor or a soul like a frigid wasteland, or if you maybe just enjoy the snowy winter, this is the weapon style pack for you. Make your enemies' blood run cold with these Frozen weapon styles! This pack includes: Frozen Blade, Frozen Staff, Frozen Bludgeon, Frozen Shield, Frozen Bow, Frozen Rifle, Frozen Cestus, Frozen Blasters, Frozen Claws, Frozen Axes, Frozen Pistols. Note: These items are good for all characters on the account, and are not tradeable. The color of these items is not affected by your color palette. Rely on the power of the mind, show off your sixth sense, and psyche out allies and enemies alike with these extraordinary Cerebral weapon styles! This pack includes: Cerebral Blade, Cerebral Staff, Cerebral Bludgeoner, Cerebral Shield, Cerebral Bow, Cerebral Rifle, Cerebral Cestus, Cerebral Blasters, Cerebral Claws, Cerebral Axes, Cerebral Pistols. Note: These items are good for all characters on the account, and are not tradeable. The color of these items is not affected by your color palette. A client hotfix was deployed today, 11.12.12, at 3:15 p.m. PST. Players will need to exit the game to download the new client. Click here to convert to your timezone. Updated security settings for PC Marketplace Transactions. Toyman will no longer trap you on Stryker's Island if you log out from there. When leaving Stryker's Island you will be sent to your HQ. Villains will now correctly be sent to their own Strykers Island region. Once More with Rockets: This mission will now update properly. All servers will be brought down Tuesday, November 6th at 7:00 AM PT to implement Game Update 20. Downtime is anticipated to be approximately 2.5 hours. Temple of Isis Legends Arena Exclusive for Hand of Fate owners and Legendary members. Legendary members and owners of Hand of Fate will now be able to play the Temple of Isis in Legends PvP Arena. Strykers Island open world content (Toyland, Once More With Rockets, and Fun for Girls and Boys) has moved to its own public instance and is no longer available in the open world of Metropolis. Players can now access these Missions by using the Strykers Island: Lockdown teleporter in their Headquarters and entering Strykers Island. These Missions can be picked up from the terminal near the new Strykers Island: Lockdown teleporter in the Watchtower Monitor Womb or the Hall of Doom Inner Sanctum. Once More With Rockets mission jump pads were removed so players can now just speak to Radical Rocket Randy to receive their disguise. Radical Rocket Randy can be found on top of the entrance to Strykers Island. Klarion and Teekl are no longer amused and went back to Limbo Town to prepare for next year. o Crow Illusions will now chase you through doorways. o You are now prompted to leave Arkham Asylum after completing the instance. · Strykers Island Penitentiary: The entrance to the instance no longer floats above the ground. · Watchtower Containment Facility: Turret projectiles will now use electricity on the player. · South Gotham Courthouse: The Bailiff no longer requires a skill test to break out of his stun attack. · S.T.A.R. Labs Research Facility: Players are now prompted to leave after completing the instance. · Shady Nightclub: Bizarros Flame Breath attack now displays the correct de-buff in the Current De-buffs menu. · Chattering Teeth: The Chattering Teeth item has a new inventory icon. · Phantom Zone Kryptonite Chunk Guise: This guise now has block and dodge, plus all tray abilities now have visual effects. · Raven Unleashed: Epsilon Science Police will once again fire rockets at their foes. · Sinestro's Spite: Failed Recruits have removed the option from their rings to toggle between Will and Fear and now only produce Fear Constructs. o Toyman has fixed various issues with the toys on Strykers Island. o Wind-Up Wally Toys will now display icons to help direct you during your quests. o Attacks from Toymans Toys will now correctly report their attacks to the combat log. o Toyman Toys will no longer keep you in combat for extended periods of time. o Toymans toys will no longer be seen animating improperly (T-Posing) when viewed at a distance. o Once More With Rockets: When players shoot down enemies from the sky, they will no longer remain targeted as they fall to the ground. o Fun For Girls and Boys: When the Generator is dropped during the race, players will regain the toy form when they pick it back up. o Toyland: While in Beautiful Betty form, players will no longer see secure icons on toy crates and presents. · Queen of Lies: After defeating Circe, players will now be prompted to leave the instance. · Light: Grasping Hand: Grasping Hand is now easier to combo out of. · Nature: The heal over time for Savage Growth no longer splits when hitting more than four targets. Players will now have a default Rally location selected after being knocked out in a PvP match. · After completing a race, players will have the option to retry the race from the scorecard. o A player that is both a friend and a league-mate will now only show up in your contacts once as a friend. o Friend and league-mate contacts are now sorted together alphabetically. · The Add Character Slots, No Thanks, and Buy Now buttons now all play sound when selected. · Tooltips for items in the inventory will no longer float and will now be displayed over the character when using a gamepad. · Toyman missions will now appear under Strykers Island when sorting by location in the Journal UI. · Players who do not own the Last Laugh DLC pack will now be able to see the Legends characters from Last Laugh on the Legends Exobyte vendors, but will still be unable to purchase them without owning the Last Laugh DLC. NEW Legends PvP Characters - Lex Luthor and Steel! New Legends PvP characters Lex Luthor and Steel are now available in the Marketplace! For those of you wondering what it will be like to play as these iconic characters, we were able to sit down with Systems Designer Jesse "Spord" Scott to talk details. Mepps: I know you're hard at work on a few other projects we won't be going into here, but tell us a little bit about how these characters act and play differently than the rest of the Legends PvP cast. Tell us about Lex Luthor. Spord: Lex Luthor is a good damage dealer. He is a hand blast character with multiple long range attacks like Quantum Barrage or Laser Beam. The laser will set his target on fire dealing damage over time. He can also take care of enemies that get in close with a frontal cone attack called Energy Matrix or a localized AoE named EMP. If the fight gets too intense he has an escape plan in Tactical Blast. It will launch him backwards with his power suits stabilizer jets while damaging his multiple enemies caught in the blast. When nothing less than scorched earth will do (which is a lot of the time, with Lex), he can use his LexCorp Surface Strike to deal massive damage with a barrage of rockets. Mepps: That sounds...painful. How can Steel compete with that? Spord: Steel is more of a support character. He is a two handed weapon wielder that can help keep points with Proximity Mine and his personal Prototype Protective Barrier. He can also jump right in the middle of a fight with his Big Swing lunge attack and use either Hammer Drop or Atom Splitter to damage and stun anyone unfortunate enough to still be around. To round it out he has Hammerang, an attack that has him throw his electrified hammer to knockdown and deal damage over time to multiple enemies. Mepps: Thanks Jesse! Lex Luthor and Steel are both available now in-game in the Marketplace! Make a memorable entrance into the DCUO Legends PvP arena as the infamous Lex Luthor! Show your enemies that a true champion relies on strategy and skill, not superhuman powers! It's time to drop the hammer on the competition! Join the battle in the DCUO Legends PvP arena as the extraordinary Steel. Due to the large amount of our customers affected by the extended recovery from Hurricane Sandy across much of the Eastern section of North America, we are rescheduling our planned October 31st Triple Station Cash promotion to November 4th, 2012. Our European partners, ProSiebenSat1. will continue as planned and European customers will be able to take advantage of Triple Seven Cash for one day only from 12.00AM to 11.59PM GMT +1, October 31st 2012. The SOE player community looks forward to the return of our storm-affected friends & family. Announcing DCUO's Next DLC Pack, Home Turf! The next DLC is called Home Turf, and it introduces player housing to DC Universe Online! Now that the bats out of the cave  or should I say in the cave?  let me go over some of the main features coming in Home Turf. The Lair will offer several exciting things for players. The first is a theme. Themes give the lair a sense of location  like a sewer or a penthouse  and anchor it to a persistent entrance in Gotham City or Metropolis. Lairs will be fully customizable spaces. You can collect props while playing and then use them to decorate your Lair. These items will be tradable, creating a secondary market for players. In the coming weeks we will reveal more information about Lair customization, themes, and props. Every Lair has a Mainframe that can be upgraded by the player. Mainframe upgrades give you access to incredible Lair Features  like allies and technologies  which can be used in combat throughout the game. The Mainframe abilities offer a whole new array of tactics. Players will gain passive abilities and active powers that they can bring to bear in battle. But dont worry; these abilities are handled through communication devices (trinkets), so they wont compete with your normal super power load outs. Generators are the power that keeps a Lair running. By powering your generator you can set up amenities normally only found in HQs and Safe Houses. Once you have Home Turf, it will be up to you which amenities and how many you want to maintain in your Lair, but the options are at your fingertips. The team will be sharing more news on Mainframes and Generators in the days ahead so stay tuned for more specifics. This is where Home Turf sets itself apart from normal housing systems. Players will be able to do battle in each others Liars. Lair Duels will match players up to fight. These battles will be round-based and feel like an extended one on-one-battle inside one of the combatants Lairs. Nothing is more fun than trashing someone elses Lair to bits. But dont worry about protecting your priceless stuffed Wooly Mammoth, the damage is temporary and will reset once the battle is over. Youll really need to see Lair Battles in action to fully understand how cool this is going to be, so well have some exciting Dev Videos in the weeks ahead. Home Turf introduces some new adventures in some of the most iconic locations in the game. New missions and content have been created for the interiors and exteriors of Ace Chemicals, Strykers Island, Steelworks, and Arkham Asylum. There will be daily missions for high end players at each of these locations. The content  inside and out  will be solo in nature. Well fill you on more specifics in some features about Home Turf, so hang tight for more details about the new daily missions. So that is a pretty high level breakdown of our next DLC pack, Home Turf. We look forward to sharing more about what Home Turf has to offer. It is an exciting time to see this hugely requested feature finally coming to DCUO. We know youre going to love it. We also know you will have lots of wish list features for the system, and were anxious to hear your thoughts, so jump on the Forums, Facebook, or Twitter and let us hear it. We look at Home Turf as a starting point, a foundation to build on, for some amazing Lair content, and we cant wait to show you more. Until then, Ill see you in game! Consumables - Compound Drinks (ex. Compound AUX-00) will once again add their buffs when used. Arbiter of Destiny will no longer remove the healer role buff when you revert back to your original form. Fixed an issue where Lex Luthor and Superman would become fear-stricken and refuse to open the door to the Scorpionod. A client hotfix will be deployed at 6:00 p.m. PDT. No downtime is required, but players will need to exit the game to download the new client. Click here to convert to your timezone. Fixed an issue where premium members that own Hand of Fate werent able to use purchased utility belt slots after relog. All hell has broken loose in the streets of Gotham City and inside The Midnight Masquerade Nightclub! Go to the East End safehouse in Gotham City and speak to the Phantom Stranger (Heroes) or Tala (Villains) to receive further instructions. Each day of the event, look for The Witching Hour in your Mission Journal to complete and earn Spooky Bites! To queue for The Midnight Masquerade, go into your On Duty UI and look under the Events Tab. The mission and the event are available to players at or above Level 5. Characters that did not complete feats associated with last years Spooktacular event will still be able to complete these feats during The Witching Hour. Fixed an issue that would require players to respec their powers tree when only the skills tree was intended to be reset. Players that have not logged on should only have their skill points reset going forward. Ras Al Ghul will once again recognize those that defeat him with purpose. Felix Faust is once again grateful for protecting him from Ras Al Ghul. Toyman has tracked down the nefarious culprits who spirited away his wacky games at Strykers Island. You can once again partake in the Toyman content at Strykers. Double Station Cash® Exclusive with Walmart! Make sure you visit your local Walmart this week to purchase SOE Pre-Paid Game Cards because, for a limited time, you can get DOUBLE Station Cash® when you redeem them! What will you buy with your additional SC? *Redeem between 12:01AM 10/12/12 through 11:59PM 10/14/12. Offer valid for SOE Pre-Paid Game Cards purchased at Walmart stores in the United States only. Server Downtime 10.10.2012 - Game Update 19! All servers will be offline Wednesday, 10.10.12, beginning at 7:00 AM PDT to launch Game Update 19! Downtime is expected to last about 5 hours. Click here to convert to your timezone. Join us beginning October 16th for The Witching Hour, our new Halloween seasonal event! Gotham City will be decorated for the season, Klarion the Witch Boy will be causing all kinds of ghoulish trouble, and there will be tricks and treats to be had by all! With Game Update 19 we have added more components and plans to create new Research and Development consumables! Players will have a chance to find these new plans from endgame bosses throughout the game. Some of the new components, which are required for developing the new items, are available for purchase from Research & Development vendors. Two vendors are now located at Research and Development stations within the Headquarters, one sells only plans and the other, only components. Other new components are dropped by NPCs of various types throughout the game. The new Research & Development consumables have a variety of potential functions, ranging from offensive combat abilities to disguises for the player! When players make new characters and go through The Awakening on Brainiacs ship, they will encounter some new units trying to prevent their escape. Players will need to master Combat Counter mechanics in order to get past these new foes before making it off the ship. We have given the Mail UI a complete overhaul! Beyond the new sleek look, it is now much easier to use! Some of the new features we have added include a Sent tab to see outgoing mail, and an Archive tab for those mails players wish to keep in a safe spot! A new Compose tab is present as well and features a list of Contacts that will populate with your League mates and friends list! Additionally a bigger, more easily navigated inventory window is now available to players when attaching items to your mail! Markers will now appear on the mini-map inside Ace Chemicals when players are told to close the valves. Players are once again forbidden to enter the green rooms where their enemies are preparing for their attack. Removed collision from an invisible object in the runway area leading up to the Bailiff. Improved music scripting in Metropolis General Hospital Meta Human Wing instance (Villain) to provide a more dramatic experience. Fixed an issue with hearing disembodied Security Guard voice over while fighting Tiger Lords in the Gotham University Warehouse. Upon entering the Hall of Doom, Calculator's communicator message can now be heard uninterrupted. The music scripting in the Penguin's Lair should now make the encounter more cinematic. Birdcaged: This mission should no longer be granted daily. Gotham University Warehouse: After defeating the Tiger Boss the radar will no longer look as if there is still an enemy in the room. The Jokers Funhouse: Harley Quinn has agreed to stay down even if you decide not to secure her right away and explore the room instead! Old Gotham Subway: Players can no longer get themselves stuck in the train room. Old Gotham Subway: After defeating Hush, players will no longer be stuck in combat for the remainder of the instance. Investigation: LexCorp Genome Database: The spawn location of the collection in the University room has been adjusted so everyone can now collect it. Speedy Coin is now restricted to only group runs. You Wouldn't Hit a Lady is now being granted properly. Shake and Bake: All players will now receive credit for expertly speeding across Little Bohemia in record time. Organic Gardening: Swamp Thing will now give credit where credit is due and grant the Organic Gardening Feat to those who are worthy. More Gotham Citizens have learned of the Gang War going on in the Burnley Freight Yards, and therefore they are giving the police a wider berth to deal with the Falcones. Players will no longer see seasonal content or incidental content in that area. Added a Show Skill Point Progress in Ability Tray option to display Feat Point progression in place of the experience progress bar. The Crown of the Noble Warrior now uses the correct icon. Form: Angry Gorilla: The Chest Pound ability should no longer cause the player to slide. It can still be cancelled by jumping. The Big Payback: Patrolmen will no longer hold their arms stiffly out to their sides when you strap bombs to their chest. Hospital Havok: LexCorp Security Agents have pledged to refrain from kicking patients while they are down. Ice Heist Baby: The crates in the WayneTech Storage Facility are no longer targetable by players during combat. Falling STARS: When being transformed into Gorilla Form, players will not lose their ability to perform basic attacks. Queen of Lies: Fixed an issue where all doors would not open after you defeat Aquaman. Queen of Lies: Aquaman should no longer appear to be flying or falling after heroes have rescued him from Circe's influence and he jumped to be beside Mera. Shadow Hearts: Fixed an issue where the protect sequence for Shadowmen would sometimes not finish. Shipping and Handling: Released Falcone Mobsters will now leave the warehouse through the proper doors. Student Protest: Players should no longer fail to put on a lab coat when attempting to use the DNA Sequencer. Gadgets: Fixed an issue that made the player immune to block counters after using Distract. The initial Capture Points in Ace Chemicals are no longer out of sync with the bulletins. Villain-side money bags should no longer drop into holes in the ground, protecting them from impulses from explosions. Superman, Gorilla Grodd, and all the other iconic heroes and villains are taking an increased interest in the battle for the Hall of Doom. Look for more heated exchanges between these arch foes in the Hall of Doom Headquarters Assault! General Zod is now dropping the correct Research & Development recipes. HIVE Busting: The HIVE Minder now disappears out of the players' eye sights after his cut scene. Ice Powers: The visual effects for Frost Snipe will play from the character's left hand when using a bow. Fire Powers: Mass Detonation has always been vulnerable to interrupt and now the tooltip states this fact. MPD 3rd Precinct Rookie Flight Challenge: The beginning Race particle no longer clips into the ground. Queen of Lies: Martian Manhunter will now display the appropriate effects during the Boss Fight. The Cleave trait description erroneously stated it granted a 1% Crit Chance passive. This text has been removed from the description. Sustaining fire with Rifle Shot for more than 1.5 seconds will now perform a Block Break. SCU Forces are once again out in force to threaten Mr. Freezes operations in the Diamond District. SCU Squad Car radios are now reserved for those currently assisting Mr. Freeze in the Diamond District. More Soul-Infused corpses are prowling the streets of Gothams Burnley District. Sightings of the cursed Solomon Grundy near the Monarch Playing Card Company have increased! The Hexed Metahuman has agreed to not interfere with the business you have with Dr Psycho and his hallucinations. First Look! The Witching Hour! or treat? Game Update 19 features a new seasonal event for Halloween  The Witching Hour! This October, Gotham City is getting a ghoulish makeover, and there are tricks and treats aplenty to go around. Dont miss this exciting new event in DC Universe Online! Its not Halloween without a great, ghoulish costume party, and Klarion is no slouch when it comes to throwing parties. Hes taken over a club in the city and casting spells on innocent civilians, forcing them to attend. Whether Hero or Villain, you are going to have good reason to crash this party. Be careful, though. The powers Klarion has stolen are from the some of the worlds most powerful magic users, and look out for his cat, Teekl, too. Of course, we have treats to earn throughout the event. Youll find new trinkets, a new pet, and of course a ton of new Halloween-themed styles. The Witching Hour will soon be available on the PC Test server along with the rest of Game Update 19, and will be moving to live in early October. If you have a Legendary Membership on PC, please come over and try out the new content! If you dont, stay tuned for more information and get ready for when the event goes live. You wont want to miss it! Resolved an issue where Marks of War would sometimes not be granted to players. The Guardian and Watcher will return to your side after a duel and no longer follow the other player forever. A server hotfix will be deployed during regular restarts tonight. No additional downtime is required.  Fixed an issue where players on a group mission could be put into different instances. We have changed the way loot is distributed among contributing groups. Now each group that meets the minimum contribution threshold for a kill will get their own loot to roll on. This has changed from before where loot would be distributed randomly between groups to then be rolled on. Fixed an issue where Solomon Grundy and the Soul-Infused Corpse would drop loot for anyone in the vicinity, rather than just to the groups(s) that contributed to the knockout. This fix also addresses mission updates firing for everyone in the area as well. The Soul Beating feat will now only be granted to players who've participated in the summoning and the fight against the Fused Soul. Ra's al Ghul now requires a little interrogation at the end of the fight to move on with the story.  The Hazmat Officer's truck now requires you to tag it for destruction to advance the story.  Swamp Thing's defense-boosting seeds are now more elusive and more difficult to destroy. Penguin has agreed to allow players to secure all five consoles required to complete "Nest Egg" in a single run if they can best his henchmen. A client hotfix will be deployed today at 12:00 p.m. PDT. No downtime is required, but players will need to exit the game to download the new client. Click here to convert to your timezone. Investigated and fixed an out of memory crash that could cause freezing and crashes throughout the game, including during Operations in the open world. NEW Voltaic and Fiery Weapon Style Packs! Is it getting hot in here? Smoke the competition with these Fiery weapon styles!This pack includes: Fiery Blade, Fiery Staff, Fiery Bludgeon, Fiery Shield, Fiery Bow, Fiery Rifle, Fiery Cestus, Fiery Blasters, Fiery Claws, Fiery Axes, Fiery Pistols, These items are redeemable for every character on the account, and they are not tradeable. The color of these items is not affected by your color palette. Shock your friends and blitz your enemies with these exciting Electricity weapon styles! This pack includes: Voltaic Blade, Voltaic Staff, Voltaic Bludgeoner, Voltaic Shield, Voltaic Bow, Voltaic Rifle, Voltaic Cestus, Voltaic Blasters, Voltaic Claws, Voltaic Axes, Voltaic Pistols These items are redeemable for every character on the account, and they are not tradeable. The color of these items is not affected by your color palette. Weve adjusted pricing on the DLC 5 crafting component Ethereal Dust. This is due to the fact that there was a loot error that caused far more to drop than planned. This drop rate issue has been addressed, and we are adjusting the vendor price to reflect the rarity of the item. Ethereal Dust will no longer drop from trash NPCs in Operations and will now only drop from Bosses instead. Hand of Fate is now available! SAN DIEGO  Sept. 18, 2012  Sony Online Entertainment LLC (SOE) today announced that Hand of Fate,the fifth downloadable content (DLC) pack for DC Universe™ Online (DCUO), is now available for download on the PC and PlayStation®3 computer entertainment system. At the bidding of Doctor Fate or the evil sorcerer Felix Faust, players will undertake Operations  six intense new episodes designed for group play featuring three Heroic and three Villainous  that will take high level players back out to the iconic, open-world cities of Gotham City and Metropolis. Additionally, a wealth of new side missions will be featured, providing more fun and depth to the games storyline and world. Hand of Fate also provides players with new Utility Belt Attachments and debuts magic-powered Legends PvP characters, bringing a tale of magic and mystery to life. Utility Belt Attachments  Utility Belt Attachments expand the trinket load-out from one to up to four slots, allowing players to equip multiple trinkets, toys, pets, and consumables at once. All Utility Belt Attachments have at least two slots, while some also have upgradeable slots! Utility Belt Attachments give players more flexibility and options in the heat of combat without having to swap out items. New Legends Characters  Hand of Fate introduces the first arcane characters to Legends PvP. The Lord of Order, Doctor Fate and the evil sorcerer Felix Faust make their playable debut in Legends PvP as magic-wielding hand-blasters who conjure powerful spells and summon allies to their aid. Operations  Six intense new episodes designed for group play  three Heroic and three Villainous  are now unleashed upon players under the direction of Doctor Fate and Felix Faust. Heroes will be called to help the Lords of Order protect innocent souls from the forces of darkness. Villains must complete perilous missions for Felix Faust to reap his rewards. Side Missions  As players battle through the six Operations, up to 60 side missions will arise that take players all over Metropolis, Gotham City and beyond, pitting them against previous adversaries and new dangers that have arisen. Legendary members can now access DCUOs Hand of Fate DLC pack for free. Hand of Fate is also available for $9.99 USD to Free and Premium players via the PlayStation®Network, the in-game Marketplace, or for PC players via the DCUniverseOnline.com website. DC Entertainment, home to iconic brands DC Comics (Superman, Batman, Green Lantern, Wonder Woman, The Flash), Vertigo (Sandman, Fables) and MAD, is the creative division charged with strategically integrating its content across Warner Bros. Entertainment and Time Warner. DC Entertainment works in concert with many key Warner Bros. divisions to unleash its stories and characters across all media, including but not limited to film, television, consumer products, home entertainment and interactive games. Publishing thousands of comic books, graphic novels and magazines each year, DC Entertainment is the largest English-language publisher of comics in the world. In January 2012, DC Entertainment, in collaboration with Warner Bros. and Time Warner divisions, launched We Can Be Heroesa giving campaign featuring the iconic Justice League super heroesto raise awareness and funds to fight the hunger crisis in the Horn of Africa. All servers will be offline Thursday, 09.13.12, beginning at 9:00 AM PDT for a hotfix! Downtime is expected to last about 2 hours. Click here to convert to your timezone. Marks of War are now able to be converted to Marks of Triumph in order to purchase items that are not Tier 4 Gear. This can be done on the Tokens of Merit vendor. The Award Box treasure lock should now be functioning correctly. Various tweaks to boss fight cinematic cameras. Monthly Raid Award III boxes will now award 500 Marks of Triumph. Completing Fortress of Solitude: The Chasm will net a total reward of 400 Marks of Triumph. Completing Fortress of Solitude: Power Core will net a total reward of 400 Marks of Triumph. Completing Fortress of Solitude: Sunstone Matrix will net a total reward of 300 Marks of Triumph. Fixed an issue that could cause some pets to run into the fight without their owner attacking first. All pets now have increased health pools and out of combat regeneration rates. Most pets now only attack targets within 30m of their owner. This keeps pets near their owners current targets and allows owners to back their pets out of combat. The cash price for converting Marks to merit Tokens is now properly displaying on the Tokens of Merit Vendor. For newly redone challenge cut scenes, NPCs will no longer appear to shake. The weapons dropping off of Vice and Atrocitus in the Ferris Aircraft duo have had their stats changed to be in-line with the other Tier 3 duo weapon drops. Utility Belts Attachments will now start dropping throughout the game. The Award box from the Inner Sanctum will now show when it is loot locked properly. General Zod in the Sunstone Matrix is now dropping the correct R&D plans. Players should no longer have access to the Cat's Eye mission in the HQs. Players can now access this by selecting Gotham University Warehouse Challenge in their On Duty menu. Fixed an issue where the protect task for the Shadowmen would occasionally not finish. Heroes that defeat Eclipso will no longer receive loot twice. Telekinetic Push now has an improved visual effect when dealing extra damage to Dazed enemies that are not also Helpless. Trickster no longer uses a chevron to warn of incoming attacks. The Combat Log now correctly pluralizes Marks of Tactic or Marks of Lore when multiple are received. A new UI has been added to better visually demonstrate login wait times for Premium, Free and Legendary account levels. Sorcerers make their debut in Legends PvP with the introduction of Doctor Fate and Felix Faust! These new characters can now be purchased in-game with Marks of Legend at the Legends Terminals in your HQ. This is a new type of trinket slot item exclusive to Hand of Fate. Utility Belt Attachments increase the number of Trinket and Consumable items that can be loaded out at any given time. All Utility Belt Attachments provide at least two more slots that can be used to load out additional trinkets or consumables. Different Utility Belt Attachments have different slot configurations and some slots may even be wild cards, which can accept either a trinket or a consumable item! Higher level Utility Belt Attachments may have a third or even a fourth slot available that can be activated for 30 days using Marks of Triumph. Unlocking a third or fourth slot unlocks that slot for all Utility Belts Attachments. Although you have access to the activated effects of trinkets, you do not gain the regular equipped stats of a trinket equipped within a Utility Belt Attachment slot. A basic starting Utility Belt Attachment may be purchased from the renown vendors located in each wing of your Headquarters. Utility Belt Attachments are also available as drops in the game. There are a total of 4 new Runic appearance sets and 11 new Runic weapons. One set of gear is available as drops in the 4 player Operations. Two more sets drop in the 8 player Operations, along with the Runic weapons. Additionally, a Tier 4.5 Runic set of gear is available through the acquisition and completion of R&D Missions that are dropped as Codices from Operation Bosses. (Hero: A Black Dawn, With a Vengeance, Villain: Unpaid Dues, Seeds of Rot). Server Downtime 09.05.2012 - Game Update 18! All servers will be offline Wednesday, 09.05.12, beginning at 7:00 AM PDT to launch Game Update 18! Downtime is expected to last about 4 hours. Click here to convert to your timezone. Some Alert NPCs and many Challenge and Duo NPCs learned new tricks! These NPCs now use familiar weapon combos as well as Block. Their attacks may both inflict and be vulnerable to counter attack mechanics such as Blocking, Interrupt and Block Breaking. Match rank NPCs in Solo and Duo content, such as Circes Bestiamorph Rhinos and the Jokers Wag goons, now have more Health but do less damage. Many will now use familiar weapon combos as well as Block. These attacks may both inflict and be vulnerable to counter attack mechanics such as Blocking, Interrupt and Block Breaking. Boss rank, Iconic and occasionally normal match rank NPCs may try to trick you by performing feint attacks. They may start a melee combo to make you think you should block but then suddenly perform a block breaking attack. A bright yellow pulse on the sides of the character is your hint that their next attack is really a feint! You will now receive a Weekly Award box the first time you complete a Tier 1 through Tier 3 challenge, duo or alert within a week. This award box offers a random level appropriate item as well as additional Marks of Triumph. Using replay badges to unlock the instance will also unlock the weekly award. Furthermore, Tier 2 and Tier 3 raids will award a Monthly Raid Award box. This box includes a random raid level item and additional Marks of Triumph. Like the Weekly Awards, using replay badges to unlock the raid will also unlock the Monthly Raid Award. Challenge modes can now be accessed through the On-Duty menu. The missions associated with challenge modes have been removed and are no longer available. If you still have one of these missions in your journal, they can still be completed normally. Completing a Challenge mode will now award a commendation that grants renown. Using this item increases your standing with that group by 125. Faction commendations may also be purchased from the appropriate faction vendor for 25 Marks of Triumph. Many Challenges, Duos and Alerts have had their difficulty tiers increased in order to offer a smoother progression and a full range of content availability. In addition, a number of new challenge modes are available! These higher tiered instances now offer upgraded loot and level appropriate rewards. Although the amount of available content at the lower tiers was decreased, the time required to progress through any given tier remains or has been decreased due to adjustments in tier item costs. Marks of Distinction, Marks of Momentum and Marks of Krypton can be converted to Marks of Triumph. You will find a mission in your journal (Triumphant Transfer for Heroes or Laundering Day for Villains) that will point you toward a vendor in the Watchtower or Hall of Doom that offers conversion packages. These convert your old marks into the appropriate number of Marks of Triumph. As an added bonus, you will receive a Token of Merit for every mark converted! There is no cash cost associated with converting. Marks of Distinction convert at a rate of 1 for 5. Marks of Momentum convert at a rate of 1 for 10. Marks of Krypton convert at a rate of 1 for 50. Marks of Distinction, Marks of Momentum and Marks of Krypton will no longer be awarded and can no longer be used to purchase items. All Tier 1 through 3 items are now purchased with Marks of Triumph. Content that used to award Marks of Distinction, Momentum and Krypton now award Marks of Triumph. The number of Marks of Triumphs awarded and the cost to purchase items increases with each tier. Marks of War are still used to purchase Tier 4 items and are still awarded for success in Tier 4 content. The purchase of tiered items is now restricted by Combat Rating. The combat rating required to purchase a tiered item is equal to the Combat Rating required to qualify for that content. Each Boss in Ace Chemicals has agreed to keep the hallway doors open to ensure their enemies can gain access. Death Blossoms will now disintegrate when Poison Ivy is defeated. Chemo will no longer stand idly by and stare at you if he doesn't feel like jumping. Fixed various issues with the Transporting of Supplies. Fixed an issue where players who were further away from Chemo would sometimes not see him during the Cinematic. The Supreme Justice will no longer refuse those who wish to enter his chambers. Ra's al Ghul sharpened the blades in his trap room. They should be much more deadly now. The System Hacker can now be damaged by all attacks. Fixed an issue that could cause the wrong communicator message to be played at the start of a Mission. Fixed an issue where the Tiger Boss would refuse to jump and attack his enemies. Power Girl and Parasite have a brand new exchange at the beginning of their Metropolis University challenge mission. Marine Life Fossils and Atlantean Artifacts no longer have a required level needed to add them to your collections. Superpowers with a damage component that are usable while controlled may no longer be used while under a control effect that cannot be broken such as counter attacks. Added new counter attack effects to message block breakers, interrupts and block counters. Commendations are now available from factional vendors in the Watchtower and the Hall of Doom. These items can be purchased with Marks of Triumph and award renown with those specific factions when used. Marks of Triumph will now be rewarded or drop in place of Marks of Distinction, Krypton and Momentum. Whenever more than one Mark of Triumph is dropped or mailed, a physical representation of the mark will drop into your inventory that must be used to add the marks to your currency tab. The Marks of Triumph cap has been raised to 50,000. Tier 2 and Tier 3 iconic armor sets and items are now purchased with Marks of Triumph. The cost to purchase Tier 1 iconic armor sets has been reduced. Tier 2 iconic armor sets and items are now purchased with Marks of Triumph and require a minimum combat rating of 43 to purchase. Lightning Strikes DLC iconic armor sets and items are now purchased with Marks of Triumph and require a minimum combat rating of 53 to purchase. Tier 3 iconic armor sets and items are now purchased with Marks of Triumph and require a minimum combat rating of 53 to purchase. Villain: If you are defeated, Nightwing now insists you re-open the door to confront him for another beat-down. Hero: The Treasure Chest now always spawns properly. Players should no longer run into an issue where they can not complete this Duo. Removed collision from various invisible objects that may interfere with players in combat. Pengbot Maximus spin attack is now vulnerable to block and causes interrupt. Pengbot Maximus Beak Attack which he uses at low health, is now vulnerable to interrupt and causes appropriate damage. The pointer mission no longer sends you to the Watchtower or the Hall of Doom. You now are sent directly to the Penguin Challenge instance. "Swimming With the Sharks" should now activate correctly when completed. Speedy Coin is now restricted to only group runs. Diamond District Villain Rally Location: Fixed an issue where the Rally Location Platform could be moved. The Prime Battleground Raid now has a chance of dropping an Unattuned Prime Shield. General Zod in the Sunstone Matrix now drops the correct R&D recipes. Items: All Wayward Drone items are now properly flagged as no trade. Pointer missions for Daily Challenge Instances no longer send you to the mission terminals  Queue up in your On Duty tab and get straight into the action! Patrolmen will no longer hold their arms stiffly out to their sides when you strap bombs to their chest. Hero: The lockers inside the playroom can no longer be targeted. Hero: Rescued Police Officers should now walk instead of slide after you release them. Heroes can no longer target the Mainframe they have sworn to protect. Various objects in this instance are no longer targetable. GCPD officers and Rescued Citizens should now run away instead of de-spawn. Players should no longer remain in combat after defeating Zatanna. Zatanna's beam attack will no longer display an impact particle on a player until zoning out of the instance. Joker Gas now only affects enemies in the playroom. Blue Barrels will now freeze enemies. Villain: Deathstroke should no longer be afraid to show himself when you are fighting Bruno Mannheim. Villain: Batwoman can no longer get knocked off of the altar during your scuffle with Bruno Mannheim. Poison Ivy is no longer camera shy and will appear in all of her camera shots. Aquaman is no longer capable of stopping players from moving for long periods of time. Corrected an issue that could leave you stuck partially in the stealth state. Fear Gas's DoT no longer stacks with itself. The Suppressor Turret now assists players more reliably in combat. Voltaic Bolt's DoT from the Electrified power interaction no longer stacks with itself and no longer consumes the Electrified effect. Absorb heat will now display the proper effects while using a shield weapon. Grasping Hand should now more reliably be able to combo into the moves described in the tooltip when used as a tray power. Corrected an issue that could prevent comboing from the weapon attack version of Minigun. Snap Trap will now apply damage over time in control role when used from your power tray. Thought Bubble's main damage no longer happens twice. Terrorize is now a channel to bring it in line with other powers. Mass Terror's damage over time has been reduced to bring it in line with other powers. Increased the interrupt vulnerability window of Primal Wolf Forms Ferocious Backfist attack to match other block breaking attacks. Effects from canine form's ability Sneak are now removed when zoning to a new location. The Decoy consumable uses white effects to help differentiate it from the new Gadgets Holographic Decoy. Ace Chemicals: On-Screen Text should now remain in sync with capture point information. Fortress of Solitude: Once again and forever more, you do not want to be locked in the center room. Bane, Arkillo, and Kilowog legends are now able to weaponize larger objects, bringing them in line with other legends. General Zod's Kryptonian Grenade Toss and Subjugate abilities now cost less power to use. Zetta-Drone should no longer become bitter and prevent groups from advancing if it is defeated quickly. The first Bosses should no longer occasionally spawn in pairs. The Avatar of Magic is no longer open to trickery that allows his enemies to zerg him. The confirmation dialog to enter a match made instance now includes the category of instance (Alert, Arena, etc.) and your assigned role in that group. Players may not be kicked from a match made group within 5 minutes of joining that group or within 5 minutes of kicking another player. Players will no longer incur the deserter penalty if they are the only player left in the instance when they leave. The Combo Counter is now located at the top of the screen. Players are now able to spend replay badges to reset their lockouts on the scorecard within any instance. Robin makes an impressive new entry into the fight against Poison Ivy. But, she still seems to have him right where she wants him...under her control! Text references to the "Chinatown Cafe" are changing to "Circe's Stronghold" to better describe the content. Headbutt has been renamed to Hammer Fist. Fixed issue that caused the wrong message to be played for the start of some missions. Fixed issue where players could get stuck animating if the object they are trying to interact with is picked up. "No Laughing Matter" is now correctly listed under "Alerts" rather than "Group Missions". Stasis Field will no longer play two copies of the visual despawn effects. Players will no longer experience chat tabs displaying blank the first time they complete an instance with a motion comic. Fixed a crash that could occur when zoning into an instance after using the purchase prompt feature in the On Duty UI. Fixed a crash that could occur if a player received a trade invite or instance pop up while editing a chat tab. New Legends Characters Available in the Marketplace! Take to the skies and play Legends PvP as the Man of Steel himself, Superman! Use his classic powers like Heat Vision and Freeze Breath to stop your enemies in their tracks, and make a stand for truth and justice! Other powers include Vacuum Spin, Shockwave Punch, and Swoop Attack. Kneel before Zod! If you like the way that sounds, youre going to want General Zod as a Legends PvP character. General Zod stands as Supermans nemesis, and has the skills to take him down. Beyond the classic Kryptonian powers he shares with his brethren, look out for his signature moves, Subjugate and Kryptonian Grenade! A number of collection locations have been adjusted to allow players of all movement modes to reach them. Mister Freeze has agreed to stop forcing players to remain in combat with him once he has been defeated. The on screen messaging now properly instructs the player to leave once they have completed the instance. The Novice Guardian's Badge should now have the correct activated effect. The descriptions for Thought Bubble and Psychic Resonance now properly reflect the damage bonus when used in a DPS role. They had previously displayed with the opposite bonus. The daily mission will once again appear properly in the Arena PvP section of the On Duty UI. Station Cash Bonus is Coming Soon! Get 500 Station Cash when you buy a $15 SOE Pre-paid Game Card at Best Buy and redeem between August 17-19th. * Redeem between 12:01AM PDT 8/17/2012 to 11:59PM PDT 8/19/2012. Hand of Fate Producer Letter! Im pleased to announce DC Universe Online's next DLC Pack  Hand of Fate! This marks our fifth DLC Pack, and it is unlike anything weve offered to date. 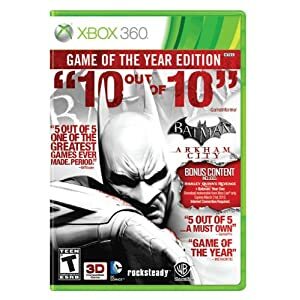 It brings a whole new type of gameplay designed from the ground up to draw players out into our iconic, open-world cities, Gotham City and Metropolis. Featuring loads of side missions and a whole new type of group mission we call Operations, Hand of Fate will enrich our massive open world areas in unexpected ways, deepening and enlivening the game as players encounter not just the world and its challenges, but each other along the way. We are also excited to introduce Utility Belt Attachments. This handy item greatly expands loadout options and makes it viable to use more trinkets, toys, and consumables  ultimately opening the door to more fun and deeper tactics. Personally, I could never justify keeping a toy equipped when I played, no matter how fun it was, but now it's easy to have one at the ready. Read on for details! I dont want to share too much yet about the backstory for Hand of Fate, but it will pit Doctor Fate and his heroic supporters against the evil sorcerer Felix Faust and his villainous cohorts in a classic tale of magic and mystery. Even as the world reels from Brainiacs invasion, other forces are moving, and dangerous plots are afoot. And when theres magic involved, anything can happen. Operations, our new group missions, are what make the open-world magic possible. You can think of Operations as Raids or Alerts that can be set in the open-world, but they're more than that. For example, while on an Operation, up to eight players will be queued up in a starting instance to defeat a challenge alongside their iconic ally. After they win this challenge, they will go out into the open-world to take on the next stage of the operation. Players can split up in smaller groups to accomplish certain objectives, but they will find others require the entire group working as a team. In short, you and your friends will be able to tackle more and more varied content than ever before  in the open world! Youll probably find the new map UI from Game Update 17 extremely useful here! Why Operations? We wanted to take high level players back out to Gotham and Metropolis, our most iconic and, by far, biggest locations, and add more excitement and activity all across the cityscapes. When the team first started talking about this, I had visions of new players being drawn to witness an epic battle between 8 top-tier players and a powerful boss, witnessing the high-level splendor firsthand, just like in the comics. Theres more to it, though. Players dont have to just watch. They can choose to get involved, and that's the type of emergent experience that I think will set DCUO and Hand of Fate apart. Especially on PvP phases, I expect this to create fireworks, awesome battles, and real strategy and competition in the open world. Along with that, one nice surprise for villains is that more than ever, villainous content will truly be villainous! It's from the perspective of the villains. I know that's been a touchy subject with many of our villains, forced to work long and hard alongside heroes in defeating Brainiac. Your pleas have not fallen on deaf ears! You get to be evil. Along with Operations, Hand of Fate will feature roughly 60 side missions. Let me repeat that. 60 missions. These are similar to the Level 1-30 content that a lot of our players really enjoyed and have been asking for again. These missions are fun and add depth to the narrative and world, and of course offer their own rewards. I think players will really enjoy the everyday variety and challenges side missions have to offer. Last but certainly not least, I wanted to offer a little more information on Utility Belt Attachments. This feature is a useful and fun upgrade for players in all aspects of the game. There will be a variety of Utility Belts  offering anywhere from two to four Utility Compartments or Slots. The slots themselves can vary  some will only accept certain kinds of items, though the rarest will include Wild Card slots that allow you to equip any kind of trinket or consumable. Depending on the belt, you can equip offensive and defensive consumables, toys, or trinkets. As I mentioned earlier, most belts have pre-defined slots, encouraging balanced loadouts. One of the benefits of this is that it will actually make sense for more players to make use of toys. Toys have always been fun to play around with, but were not something that you could generally use much on Live (I normally use a more sensible trinket that offers the best combat benefit). With the additional capacity offered by Utility Compartments, I expect to see a lot more people using Toys (Dice, Balls, etc.) and Pets. These really do make the game more fun. With that, I'll say goodbye. Remember to look for more information on Hand of Fate as we get closer to launch in the second half of September. Well have a lot more to share. SAN DIEGO  Aug. 14, 2012  Sony Online Entertainment LLC (SOE) today announced that Hand of Fate, the fifth downloadable content (DLC) pack for DC Universe™ Online (DCUO), will be available for download on the PC and PlayStation®3 computer entertainment system this September. Hand of Fate will challenge players to return to Gotham City and Metropolis to experience high-level, team-focused Operations that span the iconic cityscapes. This DLC will also provide players with new Utility Belt Attachments and introduce magic-powered Legends PvP characters, as well as a multitude of exhilarating new side missions. Utility Belt Attachments  Utility Belt Attachments will expand the trinket load-out from one to up to four slots, allowing players to equip multiple trinkets and consumables at once. All Utility Belt Attachments have at least two slots, while some also have upgradeable slots! Utility Belt Attachments give players more flexibility and options in the heat of combat without having to swap out items. New Legends Characters  Hand of Fate will introduce the first arcane characters to Legends PvP. The Lord of Order, Doctor Fate and the treacherous sorcerer Felix Faust make their playable debut in Legends PvP as magic-wielding hand-blasters who conjure powerful spells and summon allies to their aid. Operations  Six intense new episodes designed for group play  three Heroic and three Villainous  will be unleashed upon players under the direction of Doctor Fate and Felix Faust. Heroes will be called to help the Lords of Order protect innocent souls from the forces of darkness. Villains must complete perilous missions for Felix Faust to reap his rewards. Side Missions  As players battle through the six Operations, numerous side missions will arise that take players all over Metropolis, Gotham City, and beyond, pitting them against previous adversaries and new dangers that have arisen. DCUOs Hand of Fate DLC pack will be a free download for the games Legendary members and will be available for purchase for Free and Premium players via the PlayStation®Network, the in-game Marketplace, or for PC players via the DCUniverseOnline.com website. All servers will be offline Tuesday, 08.07.12, beginning at 7:30 AM PDT to launch Game Update 17! Downtime is expected to last about 5 hours. Click here to convert to your timezone. Please also note that there will be maintenance preventing logins happening tomorrow beginning at 6:00 a.m. PDT. The Atlantean Warships have left the straits of Metropolis, bringing an end to the Tides of War. The Gadgets and Mental Power Sets have been improved. Each Power Set has received upgraded functionality, visual and audio effects. A few abilities have been shifted to the Iconic Tree, while some older, less popular abilities have been retired and replaced with all new ones! All Mental and Gadget players, and players with Iconic Powers, will have their powers reset upon login so they can respec to their new abilities. Legendary members and owners of The Last Laugh will now be able to play the Ace Chemicals Legends map as an Arena. The in game Map has been given a complete visual overhaul! Players can now enjoy a more dynamic map system allowing them to see and track with much greater detail! Beyond improved navigation, players are now color coded and waypoints can be placed on group members to make them easier to find! Place them by right clicking with the mouse. Group members are now color coded to differentiate them on the Minimap. Each group member will have a different randomly assigned color, except for the group leader who is always yellow. Group members can ping the map by shift+ left clicking a spot on the map which will create a temporary waypoint for group members, seen both on the mini map and in the main Map UI. Corrected the physical placement of various Gold collections in Metropolis and Gotham City. Pets are now more responsive when entering combat and most should enter combat when their owner enters combat. Pets should no longer lose their targets in combat and stop attacking. Most pets attack the recent target of their owner. If the owner switches targets, the pet soon after changes to the same target. Pets hold their target for a minimum of 5 seconds before switching to its owners current target. In combat, if a pet gets too far from its owner, it will fall back to the owner. An attacking pet keeps its owner in combat and attacks hitting a pet now keep its owner in combat. Group heals and buffs should now affect all pets in the group. Coluan Crown of Defense now has an inventory icon and the appearance will display properly when the appearance is worn. Promethium Lockboxes and PvP Champion Bonus marks awarded from opening boxes are now dropped into your inventory as physical items. Using the item will add the bonus mark to your currency tab. The Clown Box and Gag Glove abilities have been removed from Gadgets Power Set and added to the Iconic Powers Tree. Control effects applied while in the Controller role no longer have a chance to break early due to damage. All Gadget power abilities have been visually updated. All Mental power abilities have been visually updated to a more organic energy style. Battle for Earth Headquarters battles: The Engine Core will now properly report to the players combat log when thrown at someone. Critical effect suppression is now properly applied in Arena zones when transformed into a Snowman by using the rare Seasons Greedings winter seasonal trinket. We have corrected an issue where players were not receiving loot as intended. Now, when defeating Circe (Heroes) or Wonder Woman (Villains) players have a chance to receive a damaged circlet which grants a Mission (Memento of Goddess for Heroes or The Goddess Favor for Villains). Completing the Mission allows players to choose between two rewards, with different appearances  Dark Witch or Valiant Warrior. Players can now create waypoints on group members in the Map UI. Group Members are now color coded to differentiate them on the Minimap. The colors are randomly assigned with the exception of the leader who is always yellow. Players can now ping the map with a temporary waypoint in the Map UI. Shift+left click with the mouse on the Map UI will create the waypoint that group members can see both on the Map and on the mini-map. Next on PC Test: Game Update 17! Starting today, Game Update 17 is available for players to test on the PC Test Server! All PC players with a Legendary Membership are invited. Were looking forward to hearing your feedback! Please click here for more information in the Testing Feedback forum. Beginning at 1:00 a.m. Pacific Time* on Monday, July 30, 2012, Vivox Operations will be performing maintenance. We expect this maintenance to take approximately 30 minutes. During the maintenance there may be periods of time where the Station Voice Services are unavailable. Game Login (all servers, PC and PS3) will be unavailable from 12:01 AM Pacific* Thursday, July 26, 2012, to approximately 8:00 AM Pacific* Thursday, July 26, 2012. Commerce transactions, including purchases on our websites and in-game marketplaces, will be unavailable from 12:01 AM Pacific* July 26, 2012, to approximately 8:00 AM Pacific* Thursday, July 26, 2012. Account management will be unavailable from 12:01 AM Pacific* July 26, 2012, to approximately 8:00 AM Pacific* Thursday July 26, 2012. Forums (PC and PS3) will be unavailable from 12:01 AM Pacific* July 26, 2012, to approximately 6:00 AM Pacific* Thursday, July 26, 2012. For our European PC DCUO customers: please refer to the FAQ for the transition to ProSiebenSat.1 games! When selecting to purchase or upgrade a Legendary Membership, a pop-up will no longer direct you to the DC Universe Online website. Starting today, Wednesday, July 18, 2012, get 25% OFF when you buy a NEW or UPGRADED multi-month recurring membership! Check out this link for Membership benefits! Players who sign up for a new or upgraded multi-month recurring membership to any of the following games will receive 25% off the regular price: EverQuest, EverQuest II, and DC Universe Online (PC only). If you have an existing recurring membership, this offer is only valid for a new recurring membership with a longer term (e.g., upgrade from a 3-month recurring to a 6-month recurring) or for an upgrade from a single-game recurring membership to an All Access recurring membership. If you have an existing 12-month recurring membership, you may redeem this offer for a new 12-month recurring membership at the discounted price. Promotional pricing will begin on your next billing cycle and will continue until your recurring membership lapses or is canceled. Offer is valid between July 18, 2012 at 12:01AM PDT and July 23, 2012 at 11:59PM PDT. When selecting to purchase or upgrade a Legendary Membership at a discount, a pop-up will direct you to the DC Universe Online Website. Currency: Replay Badges: Tooltip description has been updated to include all content in the On Duty menu. New SUMMER Items Available on the Marketplace! The summer event, Tides of War, is here and with it comes new summer styles! If you like fun in the sun and spending your days on or beneath the waves, we have the outfits youre looking for. Like the water, but cant swim? Would you rather float easily along Metropolis gorgeous waterfront? Then the Dino Swim Ring is for you! This friendly dinosaur will keep you safe in the water and looking good, too! If you plan on doing much diving, perhaps to scout out Atlantean Warposts or Mutineer activities, grab this state of the art SCUBA suit! If youre serious about water, youve got to be serious about air. Pick yours up today! For those of you who are really ready and willing to commit yourselves wholly and truly to the water, weve got the skin for you. Turn your entire body into water and soak up the sunshine. Literally! Just dont splash too much on your friends. And please remember, we cannot be held responsible for any issues involving or resulting in your body evaporating, freezing, boiling, or running. Thanks in advance for your understanding. During the summer, the seas become restless, churning with dangerous storms. Ocean Master, Aquamans conniving half brother, has rallied a force of mutineer Atlanteans in an attempt to usurp the throne of Atlantis! Their civil war has breached the waters of Metropolis, a crucial piece in the plot to rule the sea. Track Tides of War in your Mission Journal to venture into the Cave. Track Tides of War in your Mission Journal to find the Atleantean Frigates in Metropolis. Legendary members and owners of The Last Laugh will now be able to play the Moon Arena map as a Legends character. Three new military style gear set appearances (Logistics Officer, Sharpshooter, Aeronaut -24 new items total) have a chance to drop in the vault. Some older (launch) appearance items have been removed from the vault to make way for the new items and will continue to drop from NPCs throughout the world. The toxicity of Bludhaven has decreased slightly over time resulting in enemies that are less threatening in some areas. The exception being Chemo whom now prevents his enemies from running away in fear. Decreased the speed of the Half-Mutants to help prevent players from being overrun. Adjusted the number of Chemoids that spawn in this area. Increased the delay between mobs spawning from vats slightly. There are now fewer enemies when escorting the Hazmat personnel to Chemos last known location. Hazmat personnel that die while being escorted will no longer respawn at the beginning. Hazmat personnel have 2x health while being escorted and have 30% more time to be revived before being KOd. There is a solo Hazmat that has already located Chemo; he will speak with you when you finish clearing the gauntlet area. Chemo now creates a chemical barrier to keep his enemies from running. Iconic NPCs are now more resistant to crowd control. Absorb Heat ability now displays multiple beam effects as intended. The visual effect related to counter attacks (block breaking, block countering, interrupting) are no longer delayed. Gold Collections in Suicide Slums that were perfectly hidden inside of buildings have been moved so you can collect them. Fixed various Gold Collection Locations in the Tomorrow District. Fixed various Gold Collection locations that were inside of structures and/or under the ground. Moved a Gold Collection that was in danger of being pulled into a Paradox Rupture. Fixed an issue where a Gold Collection was sunk into the ground south of the Knightsdome in Otisburg. Fixed various Gold Collection locations in the Burnley district. Giordano Botanical Gardens: Moved a Collection Node out from inside of a building just south of the Botanical Gardens. "My Life as a Robot" will now correctly update for villains. Reduced the cost of resetting seasonal events to 12 Replay Badges (from 29). Adding a Sheer (the original) version of net leggings to the Goth Leggings marketplace item. Purchasing the Goth Leggings from the Marketplace will now allow you to claim two versions of the item: one Sheer, and one not-Sheer. If you have already purchased the Goth Leggings, you will automatically be able to claim both versions from the Claim Window in the Marketplace UI. Due to the unstable energies of the Fuel Cell the carrier is now vulnerable to lunges and melee combos. This vulnerability is apparent by the dizzy effects on the carrier. Attack vulnerability while carrying the fuel cell will now only start after three seconds. Corrected location of villain optional-mission reward barrels in the first stage. They should now spawn in the safe-area instead of out in the hangar. Corrected positioning of villain safe-area door so there is no gap. After carrying the Graviton Technology or the Force Field Disruptor for 3 seconds, the carrier will become vulnerable to Interruption. Fixed an issue where weaponizing the rock did not interrupt the secure action. Players who enter a Moon PvP match in progress will no longer experience a looping sound issue. Fixed an issue where Capture Points visual effect would activate when the Capture Point was not active at the beginning of a round. Superman and Lex Luthor have agreed to stop failing to appear when you are fighting the Sunstone Herald. Fixed an issue where a Briefing was located inside of a wall. Dialog Window: Fixed an issue in which the UI would get into a bad state if a mouse-relevant Dialog was queued behind a non-mouse-relevant Dialog. Spider Blade dual wield weapon has been reduced in size for brute sized characters to avoid clipping through the character body. Sunstone Bulwark head style no longer causes facial hair to disappear. High Voltage face style no longer clips into the brow of male brute characters wearing an animal skin style. A number of environment fixes have been made throughout the game world. No longer clips into the cheeks of male characters wearing animal skins. No longer displays incorrectly on Striker model characters. Official SOE DCUO website. PC version of the game can be downloaded here for free.